This article first appeared in The Edge Financial Daily, on May 4, 2016. 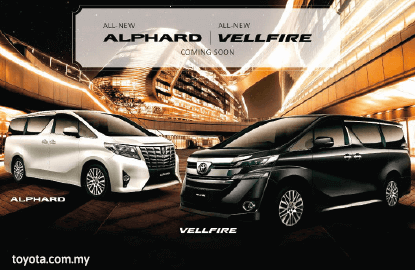 UMW Toyota Motor Sdn Bhd announced during a media event earlier this year that the Toyota line-up in Malaysia will be joined by the all-new Toyota Alphard and Toyota Vellfire. The company will be importing the two models direct from Toyota Motor Corp (TMC) in Japan and there will be two variants of the Alphard (Alphard 3.5 Executive Lounge and Alphard 3.5) and one variant of the Vellfire. Customers who wish to be among the first to own these two luxury multipurpose vehicles (MPVs) can now register at all UMW Toyota Motor branches and authorised Toyota dealers nationwide. Both models will come with a full factory warranty for a period of five years and unlimited mileage. Owners are also assured of complete and qualified aftersales support, including parts, from any authorised Toyota service centre in Malaysia. 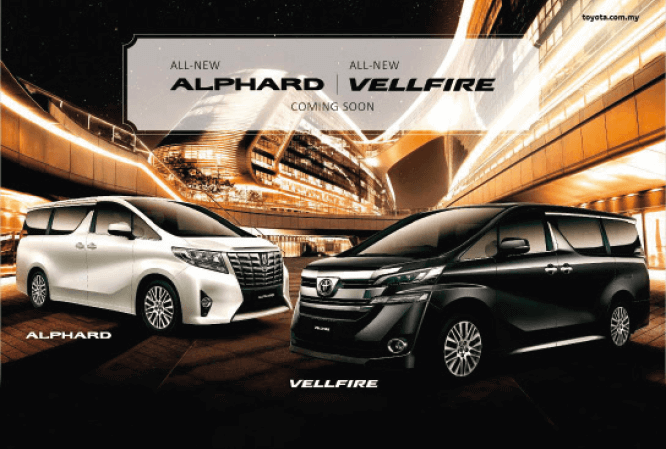 Powering the Alphard is a 3.5-litre V6 engine, while the Vellfire has a 2.5-litre 4-cylinder engine, both equipped with Toyota’s Dual VVT-i system for optimum performance and fuel efficiency with low emissions. Active and passive safety systems that are provided as standard include the 7 SRS airbags, an anti-lock braking system with electronic brakeforce distribution and brake assist, plus vehicle stability control and traction control. On the differences between the vehicles imported and sold by UMW Toyota Motor and those which are imported by other parties from dealers in Japan, Akio Takeyama, deputy chairman of UMW Toyota Motor, said that there are some technical differences which are important to owners. “Through long experience, Toyota engineers have found that driving conditions in Malaysia can be quite demanding. The weather conditions are usually hot and vehicles travel long distances at high speeds. These can have an effect on operating temperatures of the engine so programming of the ECU (engine control unit) is usually adjusted to keep the engine cool,” he explained, adding that such specific programming is only done for units that are specifically destined for Malaysia and imported by UMW Toyota Motor, which is the sole and authorised importer and distributor for Toyota vehicles.